Songs - WE BELIEVE IN MUSIC; WAITING FOR THE SPRING; EVERYONE IS IRISH; DOGGIES SHOULD NOT EAT CHOCOLATE BUNNIES; OUR EARTH, OUR HOME; MY HAT IT HAS THREE CORNERS; MY HAT IT HAS FIVE CORNERS; TENTING ON THE OLD CAMPGROUND; I CAN DO THAT! ; THAT'S NOT ME; HIGH FIVE; I CAN LIVE WITH THAT; THE KREBBEL GIANT'S DANCE (Low E, A, B, C. OPT. PT. 2 A, B. OPT. Alto PT A, C, D, E, F); THE STAR-SPANGLED BANNER; DON'T YOU THINK IT'S CHILLY? (Warm-Up). Articles - Network; Anne's Vocal Clinic/Brrr! 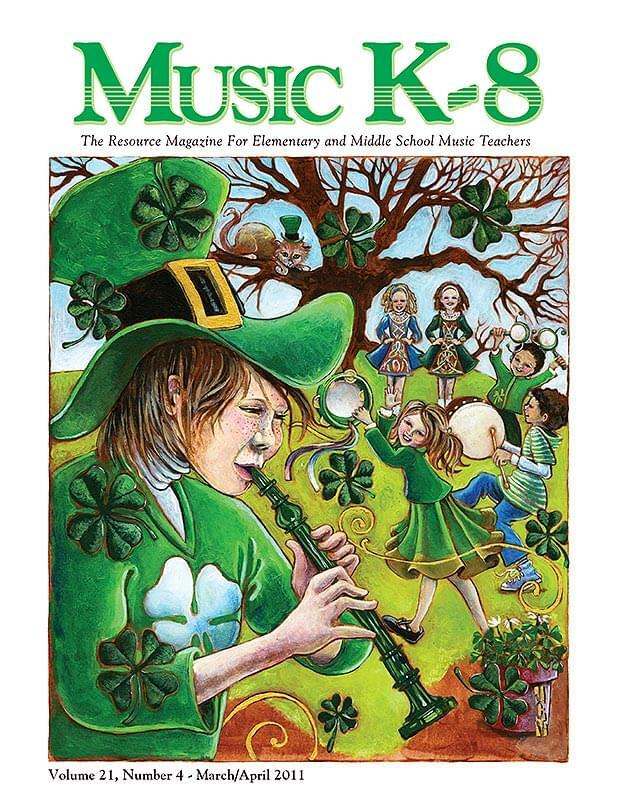 It's Cold - Warm-Up; About the Music in this Issue; Of Two Minds - Carol's Corner; Quodlibet; Photo Journal...and more!